The hard wheat semolina is suitable for the preparation of « gnocchi alla romana », sweet semolina, fresh pasta and others typical regional products. 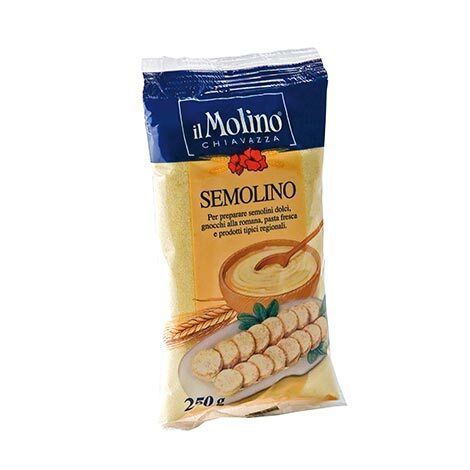 The hard wheat semolina is obtained by the milling of an balanced mixture of hard wheat with an higher quality. It could be used alone or mixed with soft wheat flour. The particular quality of this product allows to obtain products with a yellow straw colour and a characteristic taste and flavour. The hard wheat semolina is available in packets of 250 g, 500 g for an home use and in packs of 5 kg for a professional use.